Smart Thermostat Pros and Cons - Should You Buy One? There’s no question about if smart thermostats save you money—they do. But the smart thermostat pros and cons are important to weight before purchasing. 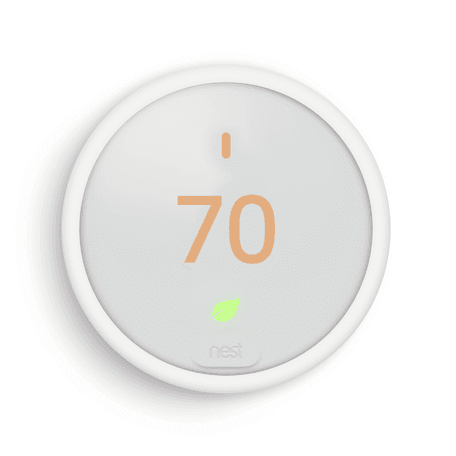 Nest estimates the average savings per year amount is up to $145. If you’re thinking, of course Nest would say that, they are trying to sell me one of their thermostats, well, you’re right. But there are others who agree that programmable thermostats can save you money. The Environmental Protection Agency (EPA) estimates that a programmable thermostat can save you $180 per year. It’s worth pointing out that programmable thermostats are not exactly the same as a smart thermostat. They aren’t connected to the Internet and don’t learn from your behaviors like smart thermostats do. Smart thermostats are expected to grow to $4.4 billion in 2025. That’s a huge leap from $1.1 billion in 2016. It’s clear that smart thermostats add enough value to make them a more valuable option for your home. Let’s break down the pros and cons to help you decide if paying a little extra for a smart thermostat is worth it. Smart thermostats certainly aren’t cheap, with a $200-$300 price tag that makes you wonder why you should replace your currently functioning thermostat. There are plenty of less expensive smart thermostats that can help make their convenience even more worth it. What’s important is to add up the smart thermostat pros and cons to decide if it’s right for you and your home. I could walk you through complex numbers and info about heating pumps, gas prices, and central air conditioning, but it really boils down to a few major factors that can help determine the smart thermostat pros and cons of installing a smart thermostat. You can install it yourself. Plenty of not-so-handy Amazon customers and YouTubers have paved the way in self-installing smart thermostats. If you feel confident installing the thermostat yourself, then it will save you even more money. You want to save money. Smart thermostats generally pay for themselves after the first two years. That means the average $145 annual savings is money kept in your pocket. If your home is bigger, your savings are usually higher. Calculate your home’s potential savings with Nest’s nifty savings calculator. It’s backed up by research completed by independent agencies. Your local utility company gives a rebate. This is a real perk that happens in many cities. Give your utility company a call to see if you can get any money back for installing a programmable/smart thermostat. You’re always cold or hot. Whether caused by high ceilings or poor circulation, some rooms require a blanket. But with smart thermostats, you can customize the heating and cooling of each room in a way that finally makes sense. Ecobee3 has remote sensors that can measure temperature and humidity. The sensors monitor which rooms you use the most to make sure it heats the areas where you spend your time. They can also turn down the air while you’re away to lower your monthly bill. You’re ready to make an investment in your home. Your home is one-of-a-kind. Little upgrades can make a big difference when it comes time to sell your home, and smart home upgrades can pay off by increasing the value of your house. Home buyers may be willing to pay more for smart home technology. You love simple elegance. Smart thermostats have advanced technology. They can learn from your habits and adapt the temperature to save you money. But they are also ridiculously simple compared to programmable thermostats which have complicated buttons and schedules. They also add a modern look to your wall. You love data. With a standard thermostat, you use energy, and then get a bill once a month. It’s almost impossible to know exactly how much you are using or how you can save. It’s a different game when it comes to the smart thermostats. The data on the apps are weirdly addictive and you’ll find yourself constantly checking how much you are spending (or saving) with your smart thermostat. You are about to move or currently live in an apartment. Smart thermostats are an investment that costs you hundreds upfront. The investment won’t pay off if you’re living in temporary housing. Of course, there is the option of keeping your old thermostat and re-installing it before you move, allowing you to bring your smart thermostat with you. You already have a programmable thermostat. This is a debatable topic. Many people (Nest included) argue that smart thermostats are easier and to use and can save you more money. But if you’re already using a programmable thermostat scheduled to change the temperature at certain times of the day, then you are already saving money. A smart thermostat will just help you find ways to save even more by monitoring your usage, but you may not see significant savings compared to those switching from standard to smart thermostats. Your home isn’t compatible. Don’t add a smart thermostat to your cart until you know if your HVAC system will work with a smart thermostat. Check out the websites for each manufacturer to see what types of HVAC systems are compatible. You are annoyed by the thought of teaching technology. 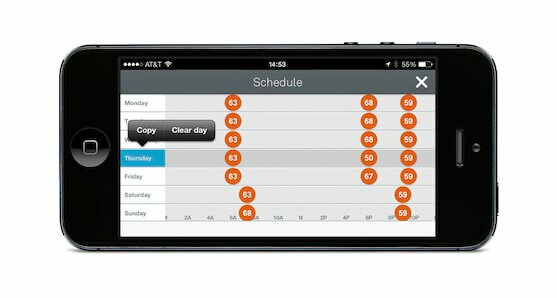 Since smart thermostats learn a schedule based on your programming, the first week using a smart thermostat will require a bit of work from you. It typically means tweaking the air to different comfort levels at the different times of day. If you skip this step, you might get frustrated with the smart thermostat. You are easily creeped out. Google owns Nest. Some people may feel understandably weird about the idea of Google knowing when they are home or away. Still feeling confused about the smart thermostat pros and cons? Head to our smart thermostat comparison table to quickly see the best smart thermostats on the market and the average customer ratings from Amazon.